The mikroC PRO for 8051 provides a library for communication with Lcds (with HD44780 compliant controllers) through the 4-bit interface. 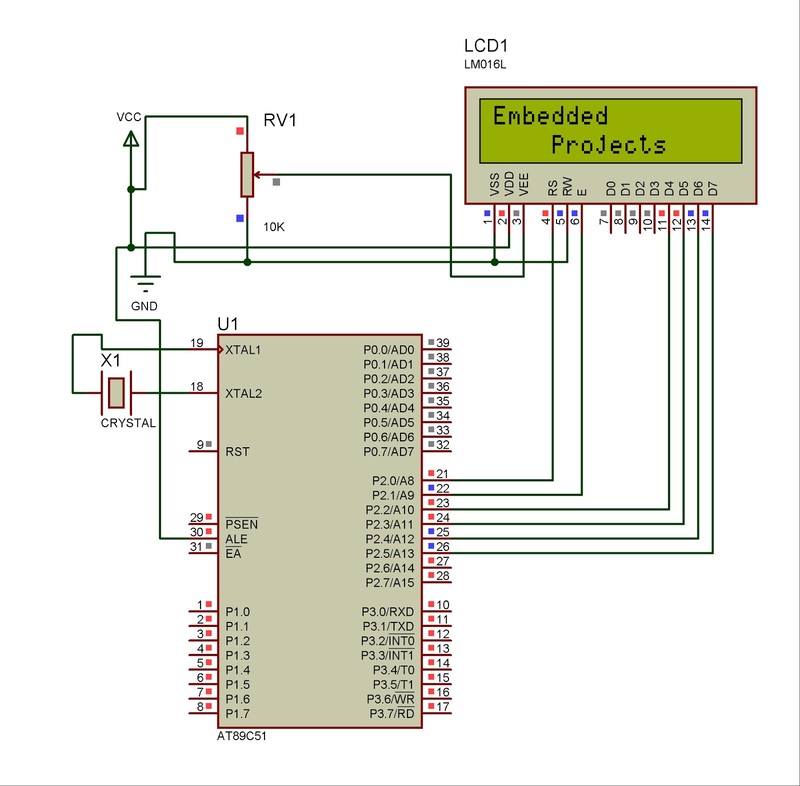 An example of Lcd connections is given on the schematic at the bottom of this page. For creating a set of custom Lcd characters use Lcd Custom Character Tool. must be defined before using this function. Prints text on Lcd starting from specified position. Both string variables and literals can be passed as a text. The Lcd module needs to be initialized. See Lcd_Init routine. Prints text on Lcd at current cursor position. Both string variables and literals can be passed as a text. Prints character on Lcd at specified position. Both variables and literals can be passed as a character. Prints character on Lcd at current cursor position. Both variables and literals can be passed as a character. Note: Predefined constants can be passed to the function, see Available Lcd Commands. The Lcd module needs to be initialized. See Lcd_Init table. Return cursor to home position, returns a shifted display to its original position. Display data RAM is unaffected.